Hanging from your porch, a favorite tree (or C-frame), you'll enjoy hours of relaxation in this comfy woven hammock & swing chair...You get 1 of each (pillow & frames are not included)! 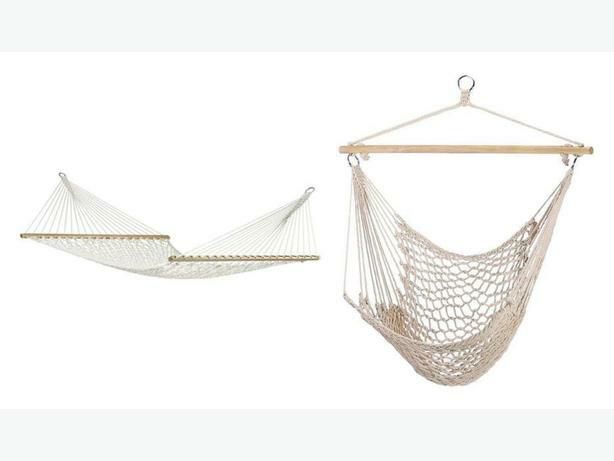 hammock is excellent for larger builds & relaxing together...54" wide x 140" long & supports up to 440 lbs. chair is 39.25" x 46" high & has a weight limit of 200 lbs.